Two things have me becoming more and more bullish with respect to gold prices. Stock market weakness, or should I say carnage, has left many investors battered and looking for a safe haven in the storm. Like gold. The U.S. dollar has the potential to go lower as interest rates hikes are potentially moderated and as the economy going forward has many downside risks. A lower U.S. dollar is positive for gold prices. In the last month, the price of gold has rallied more than 3%. In late 2011, gold prices peaked at close to $1,900 per ounce, then retreated steadily to levels of just over $1,000 per ounce at the end of 2015 and are currently at $1,258 per ounce. 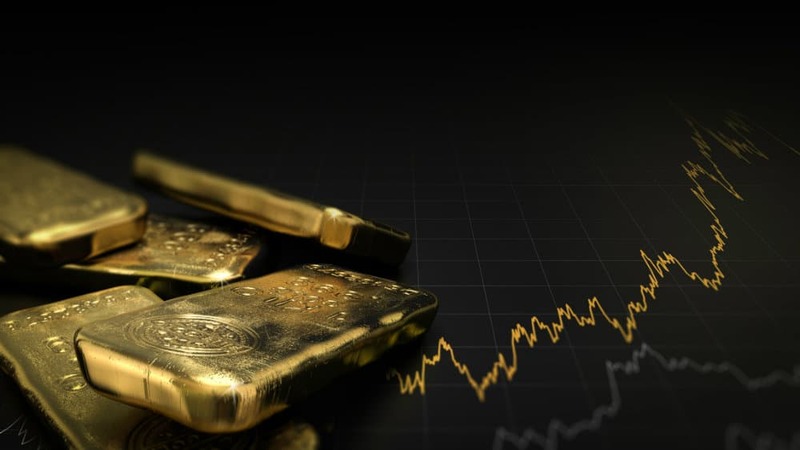 There are certainly many questions that remain with respect to where gold is going from here, but one thing is sure, the industry has suffered through a period of record production and declining demand, and in response has worked hard at reducing costs and improving balance sheets, which leaves them well positioned to reap the rewards of rising gold prices. The price of gold has now rallied almost 7% in the last six months. So if you believe gold prices will continue to rally, or at least be stable, here are two gold stocks to consider. AEM stock is up 26% from its September lows, a massive outperformance and a clear sign of where investors are heading. On a company-specific basis, latest results came in well above expectations as it continues its quest for operational excellence and cost reductions. At this point, Agnico is on the verge of starting production from two new mines, Ameruq and Meliadine, with estimates for production growth of 31% from 2017 to 2021, according to some analysts’ estimates. This puts it at the top of the list among gold producers of its size for production growth. This gold stock is attractively valued and this company is a top-notch performer. The stock is up 44% since September lows, as a reflection of this. SSRM has had an impressive performance in the last few years, with strong cash flow generation and strong cost performance. The 2017 free cash flow was $111 million, while in 2018, spending has accelerated to fund future growth, and the company is well positioned to benefit from rising gold prices. With a track record of beating expectations, industry leading margins and returns, a healthy balance sheet with $475 million in cash and a debt to total capitalization ratio of just 20 times, the shares are a good buy for investors wanting exposure to gold.